I've never seen this book for sale since i got it over a year ago. I believe its some kind of... song/rhyme book? I have no idea. BUT PREDDY PICTURES!! WHO NEEDS TO READ?! PLEASE NOTE!! Its a make-your-own-thread auction. "Hello! This is a message being sent to everyone who has purchased from me within the last two months. If you have recieved your item already, please disregard this message. Due to my bank information being stolen, my funds and my paypal have been compromised for the past few weeks. I apologize for the delay, as I have been attempting to use only my credit card in order to start paying for postage once again. Things have finally smoothed out, and all packages, including the ones that were returned to me in the last round of shipping, will be sent out Friday or Saturday of this week when I'm in town again. If you have any questions, please contact me either via PM, or, for more reliability, my email at WingedCougar1@aol.com. Thank you very much for your patience in this stressful time." Anyway, the figure hasn't arrived yet, and I've tried contacting him a month ago via PM and email, and I haven't gotten a response up to this date. Did anyone had a similar experience with this seller? I'm kinda worried because I have bought quite lots of stuff here in the community and this is the 1st time an item didn't arrive and can't manage to contact the seller, and I really don't know what to do in this cases. Could you please help me out guys? Thanks! I haven't seen a post about this yet, so! The Pokemon Center is releasing "Gotochi ("local") Pokemon" goods on December 15th, 2012. (But, apparently they will eventually be available in other local tourist shops by March 2013.) They're representing different regions of Japan and are going to be region-specific souvenirs. I know I collect eevee's and all, but... 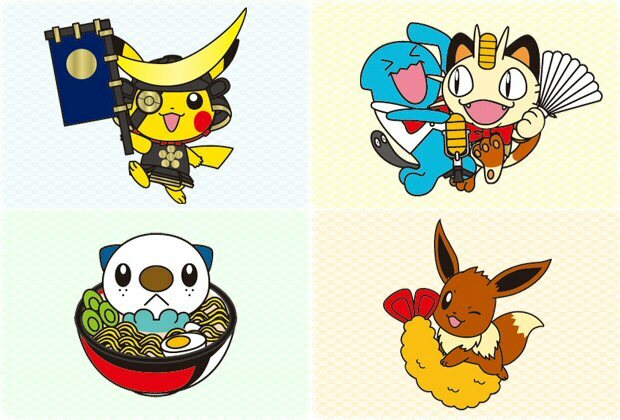 I'm actually much more interested in Pikachu and Mijumaru! (I pray for plush) The bead strap's sound awesome and I might get some socks... anybody else as excited for this as me? I will be shipping from the U.S.(Florida), and I would really like to ship worldwide. Are there any forms I need to fill out to ship to locations outside of the U.S.? Any tips or help is greatly appreciated! If these kinds of posts are not allowed please tell me and I will delete this. Hoenn Kids Collection Update and Dialga Update Plus Help Wanted! I found this today...and since i couldn't info about it in the community, i made a tiny reasarch!! Do you find their poses familiar?? some ressemble the one of the movie camoe of "Giratina and the Sky warrior"
I also wanted to make a humble request here...does someone has an HQ scan of the group postal of the vees pokecen promotion?? (that would be this one link) I wanted to use it wallpaper but couldn't find one with a nice resolution. I got a packet from SMJ today and boy was it an adventure to get my hands on it, haha. I made a small photo story from opening the package, but more about today you can find from behind the cut. Hi, just a reminder! My auctions are ending in less than 4 hours! Shipping Post + Sales Reminder! 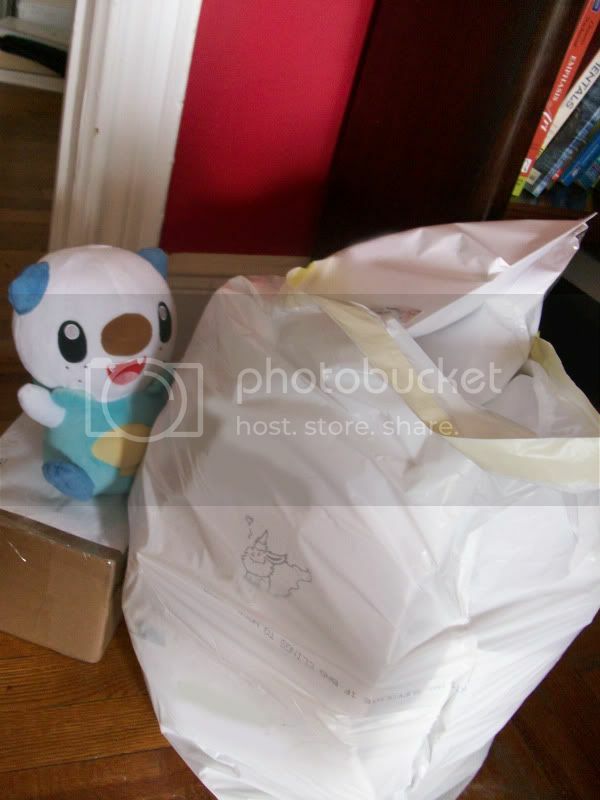 It took a lot of hard work from Oshawott and me, but the big shipment went out today! Almost everyone who ordered from me, your stuff is in the mail! I apologize for the late shipping date, but my post office is a crazy, crazy place right around now and I really wanted to get as much of everyone's stuff all out at once as possible. The post office guy who helped me was very nice and patient with our big bag o' pokemon. Only people who have paid in the last few days, or people whom I have notified of late shipping, have not had their packages mailed yet. Feel free to send me a PM to let me know that your stuff arrived safely. Also, please remember to have your settings set to receive PMs if you are going to send me one! I've been getting a lot of PMs that I've been unable to answer lately. 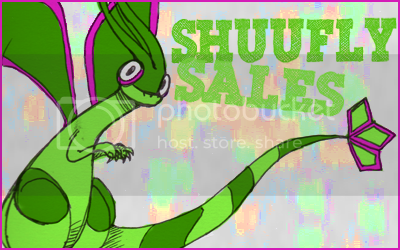 Just a reminder, I've still got a Sales Post going! Lots of plush, a ton of Tomy figures, and a couple of zukans are still without buyers, including a shinx pokedoll and typhlosion zukan. Click here or on the image to go to the sales! 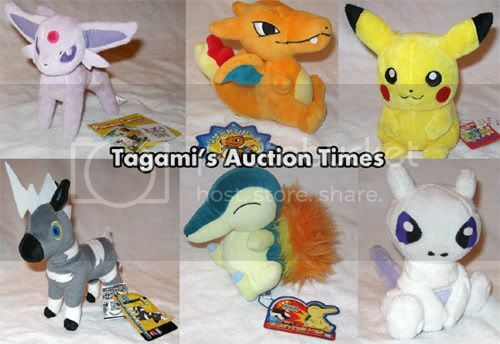 REMINDER: 1/1 Cyndaquil, Sleepy Oshawott and more! This is just a reminder for my sleepy oshawott auction, 1/1 cyndaquil who is now at straight sale for just $180 and some other straight sales I have going on right now! Cyndaquil has no interest right now, so this could be a rare oppurtunity to snap up such a rarity! Hi again, everyone! Quick reminder time that my plush auctions will be ending in less than 4.5 hours! You can click right here or on the image to be teleported! In the meantime, I got a couple fun things in the mail recently and wanted to share a collection update for the first time in ages! Howdy Pkmncollectors! I had a minty Jakks Suicune with a bad paint job..and decided he needed a makeover. 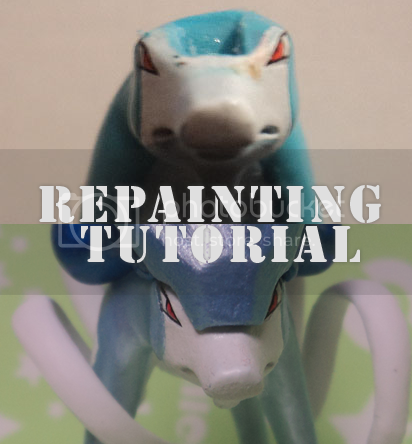 Click below too see Shiny Suicune, and a repainting tutorial! 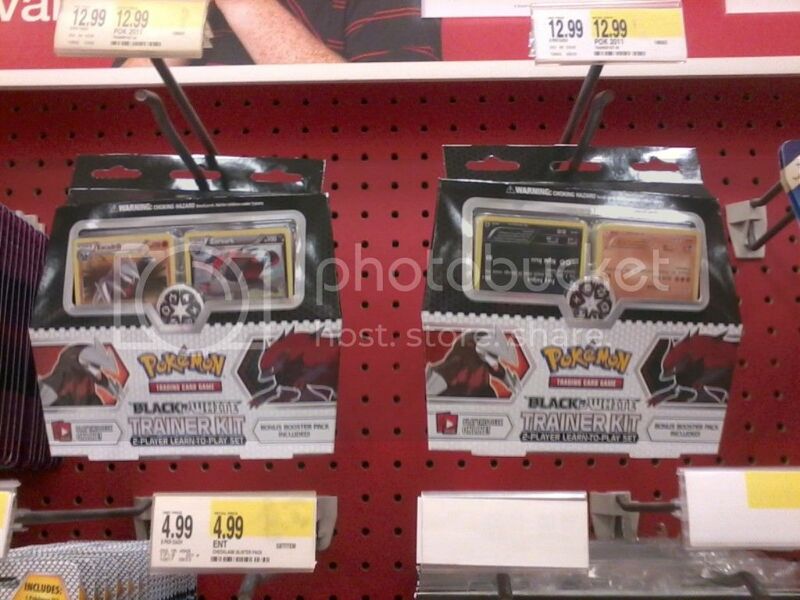 Also, look what I found at Target. I couldn't help but laugh and snap a picture! Hey there! 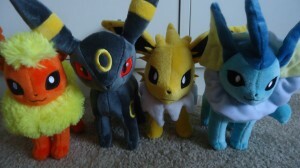 So payment one is now due for the Pokeplush GA! Since we won the GA for its starting price, awesome discounts to go around! We combined Payments 1 and 2, so now there will be a total of two payments instead of three. Click the cut for totals! EDIT: All have been claimed! Thanks a lot everyone! Hi everyone! 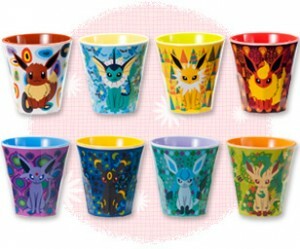 atlantia_rai and I are bringing you a group buy for the Eevee Collection tumblers! They will be going for around 11 USD each. 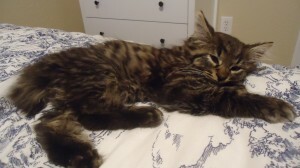 This group buy ends at 7:36 AM TOMORROW (December 1st!) Eastern time, so we only have 12 hours to get this done! Well, thanks for looking at my updates! I'm pretty pleased with the lot. 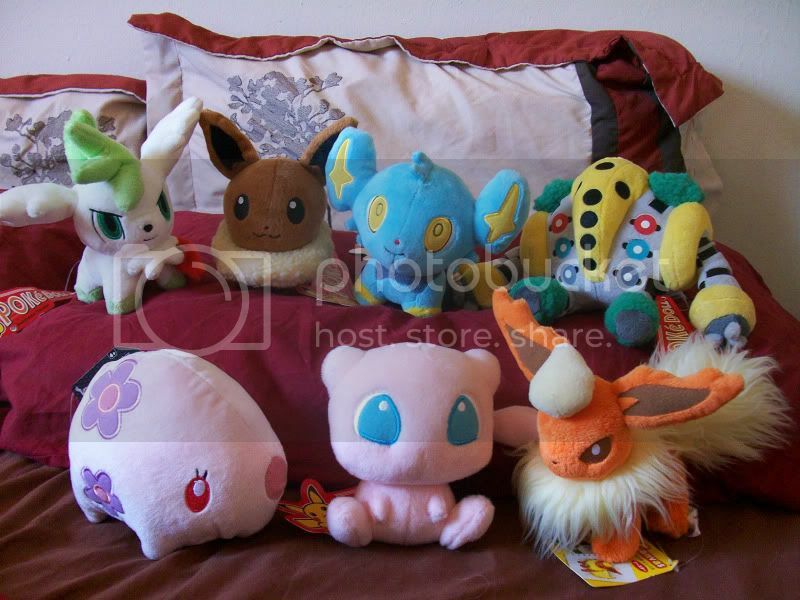 I'm of course looking for more Darumaka/Audino/Persian/Whimsicott merch so fill free to let me know~ I'm mostly interested in plushes, figures, stamps, magnets, coins, etc. Flats really aren't what I'm looking for (stickers, etc.). If you want to see a big list of what I want, head over HERE to my wants photo bucket. Thanks for looking! Hello everyone! I'm new here and I haven't posted anything to livejournal in ages so forgive me if I mess something up. I'm interested in pokemon collections but for right now, my main focus is finding this bag! I have searched all over, and even on Japanese sites I cannot find it. Any place that lists this item says that they are out of stock and won't respond to my e-mails asking when they'll have it restocked. I even paid for one on one website, only to get an e-mail days later saying the seller had cancelled. A friend of mine bought one within the past month or so, so it can't be that old! If anyone has one or knows where to get one I will gladly negotiate a selling price. I'd like to get it before Christmas to give to someone special as a gift. So you have some extra $$$ and you're wanting to expand your collection? Awesome!! Before typing up your next wants post, however, please be sure your understand our community rules. ★ Wants posts should be made sparingly! Please please please space out your wants posts - at the bare minimum there should be at least a week between posts. If your wants haven't made any drastic changes, the time in between should be closer to a month. Why do we have this rule? If no one had your item for sale a few days ago, that likely hasn't changed in such a short time! ★ Do your research before posting your wants! Before making a wants post, you should have checked eBay and recent sales posts (using the sales tag). Wants posts for easily obtained, common items are often unnecessary. You should also have a price range in mind for your wants - use the price check guide if you aren't sure! If members are correcting your price ranges, please seriously consider their suggestions. Wants posts that excessively lowball sellers may risk being deleted. ★ Don't make wants posts if you aren't ready to buy! Only make a wants post if you have the funds available to make a purchase and do not currently owe other sellers money. It is very unfair to sellers to be buying new items when they are still are waiting for a response and/or payment from you. ★ Wants posts are not a way to get about the "no pickups requests" rule! Please do not make wants posts comprised solely of newly announced/released merchandise. 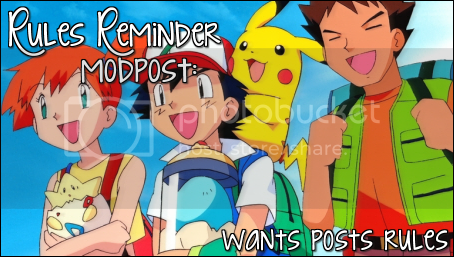 Too often lately have we reminded members to not request pickups, only to have the post deleted and rewritten as a "wants post" with the same exact content. If you want newly released merchandise please be patient and wait for a member to post - calling a pickup request a wants post doesn't make it okay. If you see a member breaking these wants posts rules, link them to this post and/or leave us a message in the Report a Problem area! Ask any questions you may have in the comments for a clarification - and please express any concerns or other comments here too! Just added a ton of kid figures and plush to my sales post, as well as a few other things. I also moved it to a new location since the old one was clogged up with comments. Check 'em out! new attack kids in march! it feels like we just got our newest attack kids set (since we just did) and here is another, all the way in march! so cool, new zapdos kid and garchomp for my collection! :D lots of old school faces here! my regularly schedualed post i planned today will come later...hopefully with a little new collection space update ;D and of course la maison de eievui goods and random pokedolls and more to be introduced from sunyshore! Hi community! Just wanna show you all some new gets I recieved. It's like 90% eevee's, though XD. I moved into a new house, and got new shelves from ikea, so now my plushies aren't freaking sitting on the floor!